Galveston was a bustling city at the turn of the century. 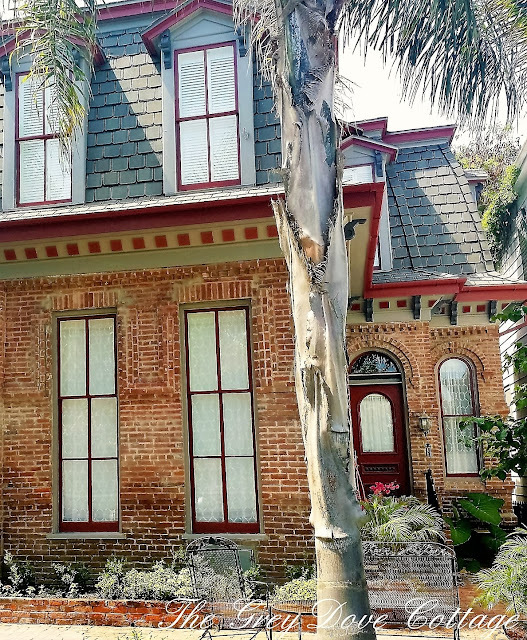 Many Victorians built homes upon the island, from mansions to quaint cottages. Despites storms, and the passage of time, many homes remain. When walking along the historic district, you may be easily lost in a romantic thought of horse drawn carriages, and ladies with bustle skirts escorted by gents in top hats. 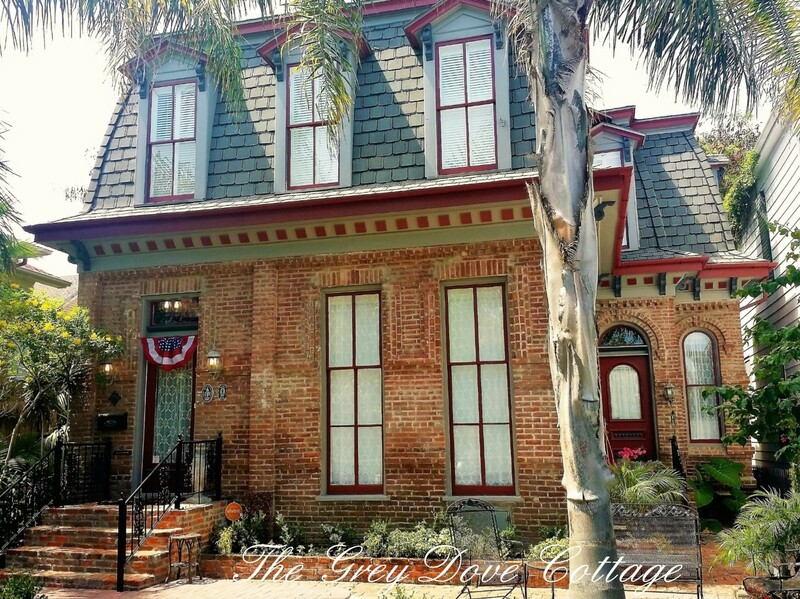 The homes of Galveston certainly have a story, preserved and adored they pose as remnants to a prosperous past. Galveston being a busy port upon the gulf coast, found itself home to many nationalities, and classes. German, French, English, and of course American were all major influences upon the island. Those influences whisper to us through the island's architecture. 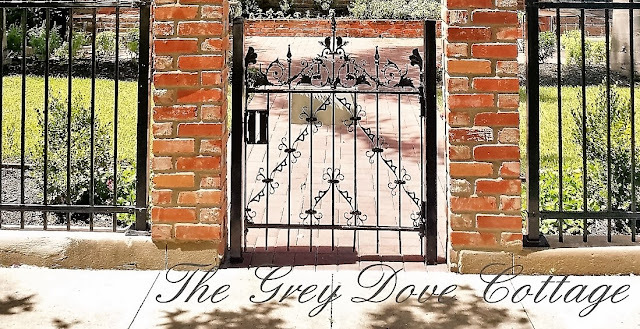 A few prominent mansions remain, paying tribute to the aristocrats. Larger Queen Anne style homes grace several avenues, particularly in the "Historic Silk Stocking District", where quaint, colorful homes line street, after street. To read more about the HSSD, go here. 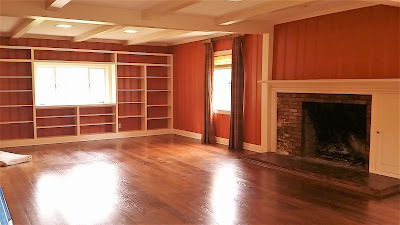 One of my favorite homes upon the island is reminiscent of Paris. This French style home built, in 1888 is unique. The masonry construction is unusual on an island filled cypress homes. Brick making in the 1800's was an arduous process; clay was mined, then dried, and refined into a granular form, combined with sand, and water forming a paste. The paste was then pressed into a wooden mold, and dried in a kiln or by sitting in the sun. The handmade bricks were often a bit rough and uneven providing a unique texture. 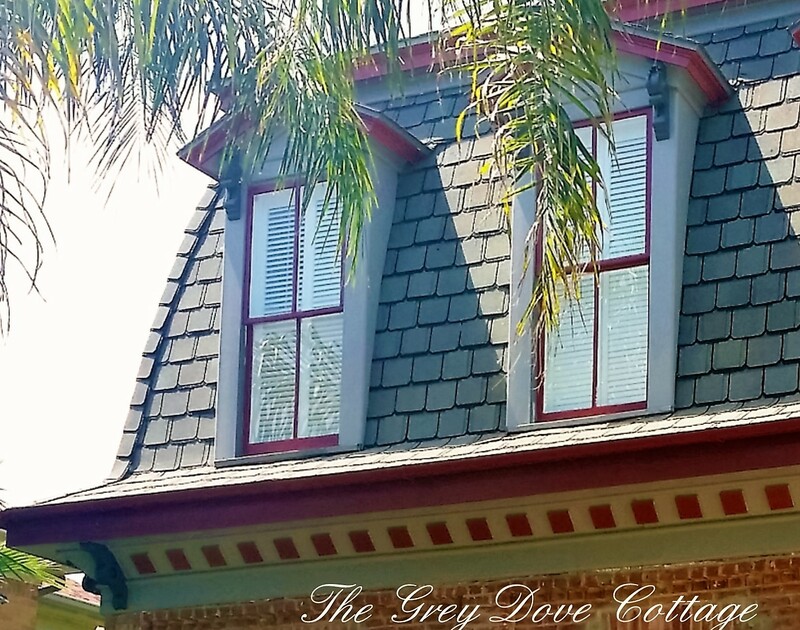 The convex mansard roof boast dormer windows, giving the home a true Parisian feel. The mansard roof is named after Franciois Marnsart, a 17th century French architect, 1598 - 1666, who is credited with bringing classicism to the Baroque period of French architecture. He constructed many Paris hotels and buildings. The mansard roof, named after him is defined by its high pitch and two slopes all around, displaying the same profile on all sides. The slope often has a convex or concave curve and featured a turned up edge. Notice the dentil molding along the lower edge, and decorative brackets tucked under the roofline, both were popular details during the Victorian period. 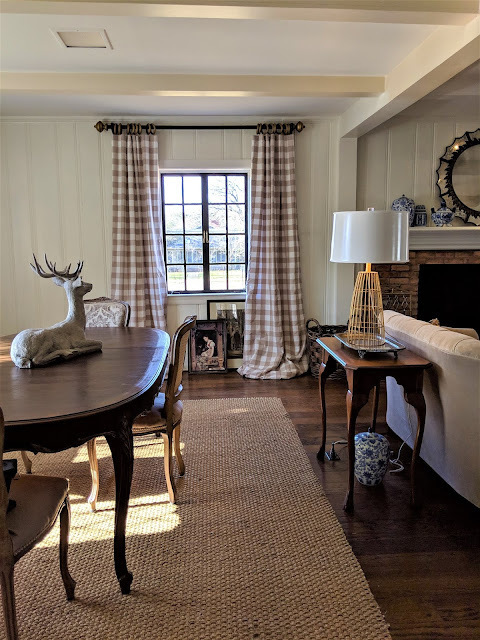 Dentil molding is a series of same sized rectangles affixed in a line to form molding, the line suggest a row of teeth, thus the name dentil. Below the dentil molding lies a band of dog teeth, a course of brick cut with the corners of each brick projecting from the wall. Each window is detailed with a header. Below the arch windows and arch bands of brick, are quoins, the large squares projecting from the flat face. 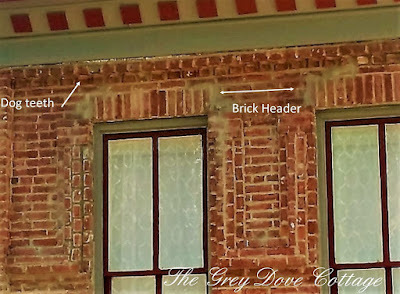 Along the lower section of the home, brick was laid in Flemish brick bonding; where some bricks are laid upon their stretcher (lengthwise) and others are cut in half and laid upon the edge (end). 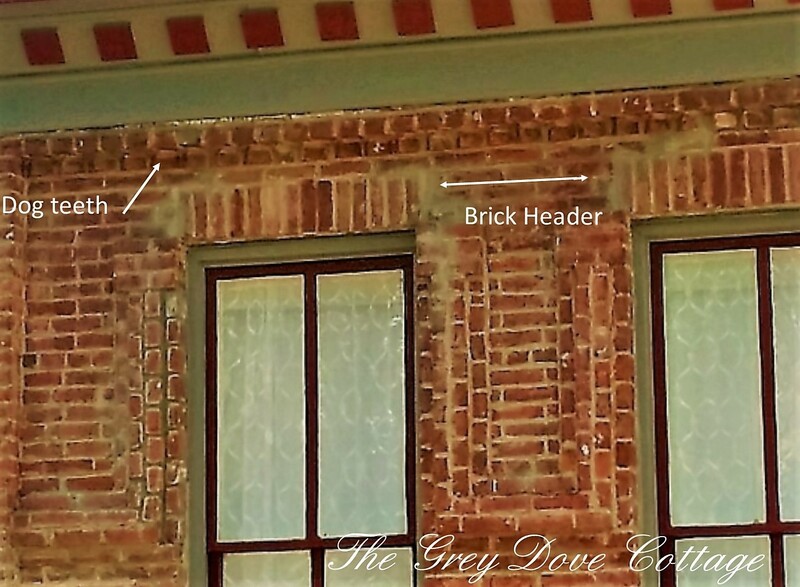 Flemish brick bonding was a popular form of brick laying during the Victorian period. With it's Parisian influence, this clay beauty is a unique observer to our ever changing island. 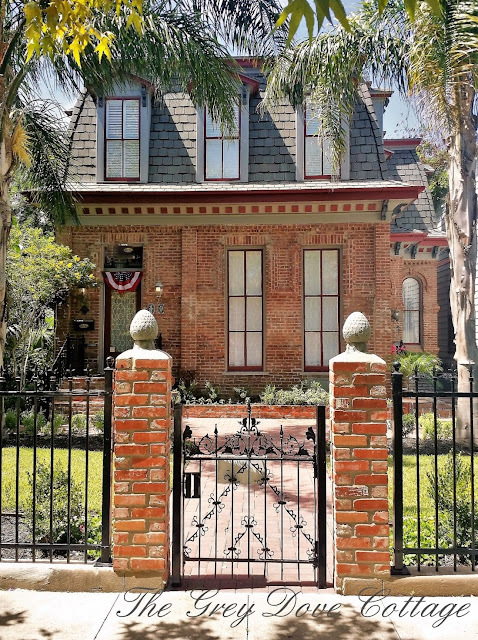 A treasure among the more typical Victorian style homes; Queen Anne, Gingerbread, Italianate, and Shotgun.